This is the Kahler fulcrum spring claw that you always find in the spring cavity on the back of guitars that use a fulcrum tremolo system. 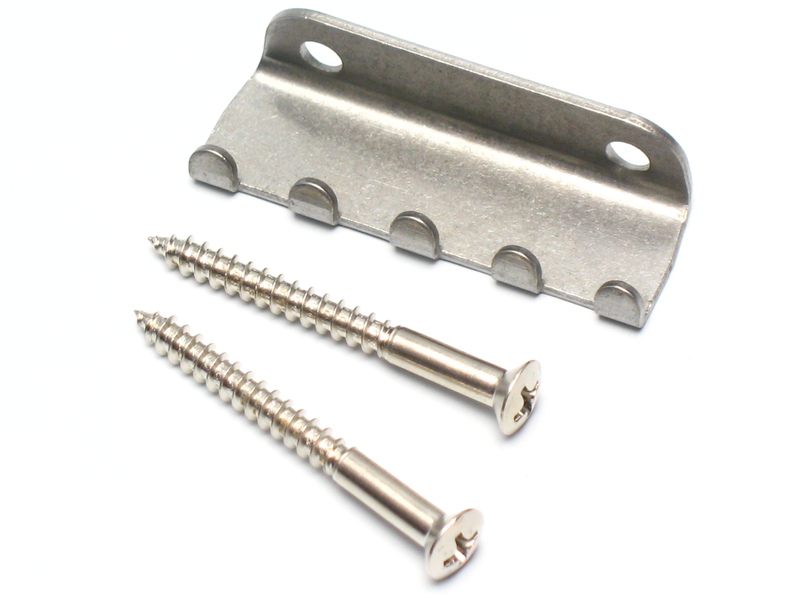 Stratocasters are a good example of a fulcrum system with a backplate and spring cavity. You can attach up to 5 springs on it. 2 mounting screws included.